Here are some of the best places to explore from the city of Delhi. Jaipur – An integral part of the famous Golden Triangle tourist circuit, Jaipur is home to several palaces, forts, heritage hotels and a fantastic array of lip-smacking Rajasthani cuisine. Jaipur, also known as the ‘Pink City’, is a perfect way to experience the lifestyle of the royals and the local culture as well. The city is filled with marketplaces, running since the medieval era, offering some of the best handicrafts, fabrics, sarees, utensils and restaurants serving the best of Rajasthan’s delicacies. One of the best ways to explore the city is to hop in one of the city tour buses, which works similarly like the Ho-Ho buses in Delhi. Adding to your experience would be a stay in one of the heritage hotels in the city. It takes about 5-6 hours to reach the city and one of the feasible ways is to take a Delhi to Jaipur taxi. Agra – Another historic marvel in the northern part of the country, Agra offers several forts, palaces and historic monuments to explore. Once the capital of the Lodi and Mughal dynasty, the city one of the oldest ones to see major human settlement. 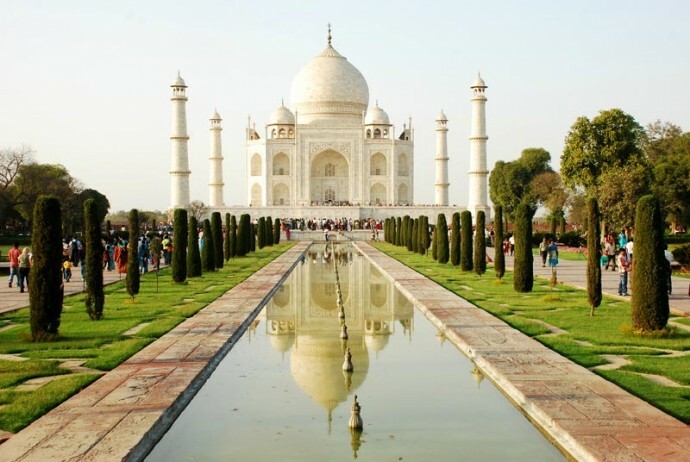 Agra is home to UNESCO World Heritage Sites like the Taj Mahal, Agra Fort and Fatehpur Sikri. Today, the city boasts of lively markets selling great quality leather products and restaurants providing the best of North Indian cuisines. With better transport options, you can now reach Agra in just few hours from the national capital. Bhopal – The capital city of Madhya Pradesh, Bhopal is also one of the largest state in the country. The city has abundance of natural beauty is known for its rich and glorious past. Historians have estimated that the city was first inhabited about 30,000 years, with the help of the rock paintings found in the remote areas. Later Bhopal served as the capital for the kings of Bundelkhand and was also a major province during the rule of the Mughals and British. Today, Bhopal successfully carries the tag of being the ‘greenest city in India’. Bhimbetka, National Museum of Mankind, State Museum of Madhya Pradesh, Upper Lake, Van Vihar National Park, Bhojpur Temple, Taj ul Masajid and Birla Museum are some of the famous tourist attractions to explore in the city. It takes an overnight journey to reach Bhopal from the national capital. Mussoorie – Situated in the Garhwal range of the Himalayas, Mussoorie is a popular hill station in the state of Uttarakhand. The hill station is perched at an average elevation of more than 1800 meters above sea level and is known for its mist covered green hills and wide varieties of flora and fauna. Mussoorie like other hill stations in the country was established by during the British Raj and served as the summer office for the Governor General of India, which was later transferred to Dehradun. Mussoorie’s tourism serves as the frontrunner of its economy with several luxurious hospitality infrastructure cropping up in the city. You can find several Delhi to Mussoorie taxi to reach the destination.